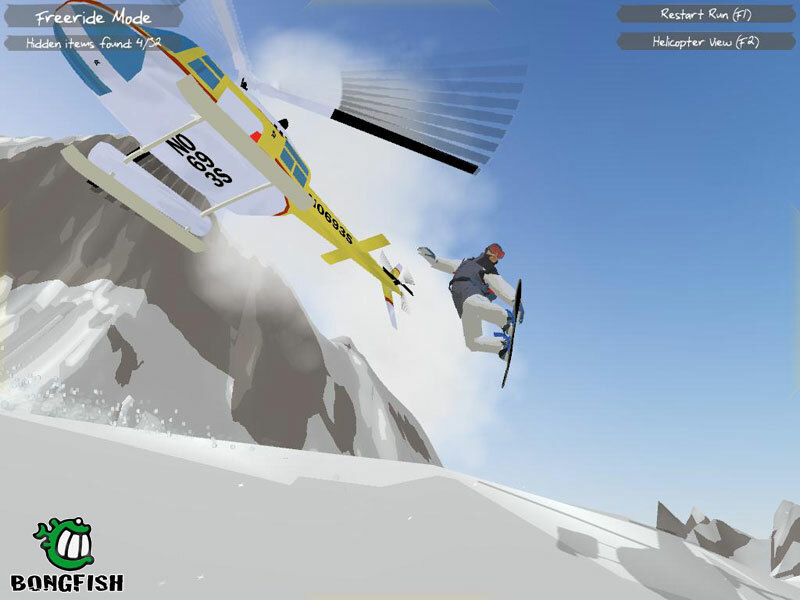 Bongfish Interactive has released four new screenshots from their upcoming freeride snowboarding game, Stoked Rider featuring Tommy Brunner. 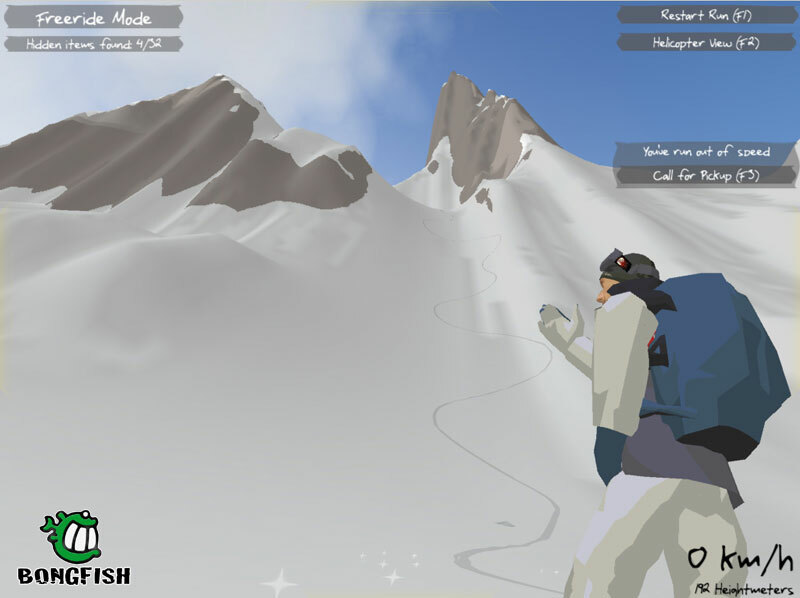 The game is inspired by Alaska's impressive peaks & presented in a unique 3D cellshaded graphical style. In addition to the screenshots, Bongfish has redesigned the game's official web site complete with a QuickTime VR scene from within the game and updated multilingual FAQ. 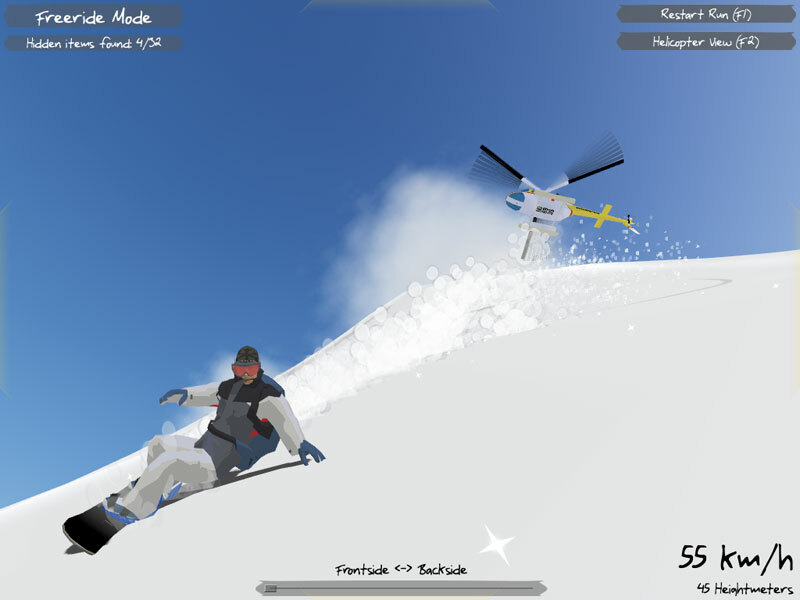 The game is currently under development for Mac, Windows, and Linux and is expected to be released in Q3 2005. 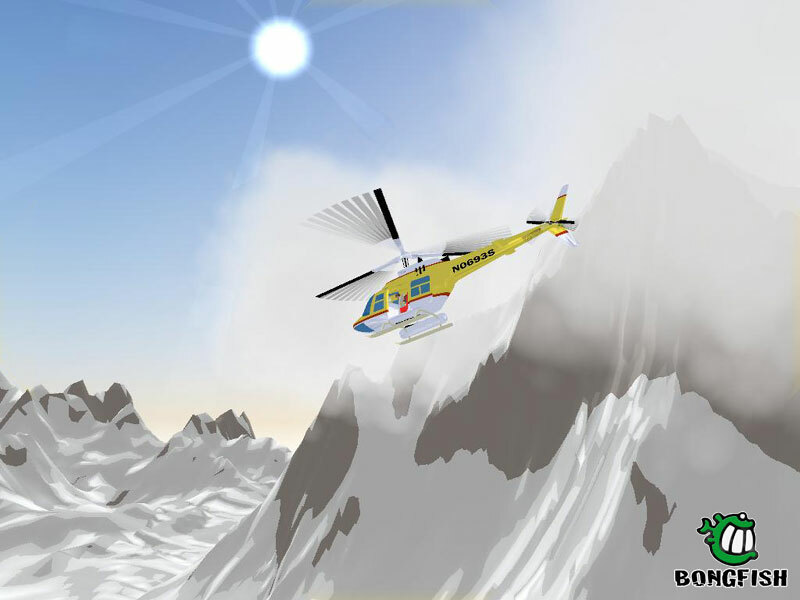 To check out the four new screenshots, click on the links below. BeyondUnreal has posted the results of an Unreal Tournament 2004 One-Year Anniversary interview. Taking place with some of the folks at Epic, the interview touches on topics such as the relatively short time between UT03 and UT04, what went right and wrong, and other miscellaneous happenings during the development cycle. One of the features touched on is UT04's Onslaught mode. While popular, Epic notes that they feel it's difficult for the team that's behind to make a comeback, particularly with maps that only have one node connected to a powercore. They also make note of some things that had to be left out, including a controllable Phoenix Bomber vehicle and a few huge Onslaught maps that had some performance issues. The other accident happened toward the end of development. Laurent had the Epic Megacar and was driving home in the snow. He was in the left turn lane that leads to his apartment when an oncoming car slid out of control and hit him head-on. He spun around, broken glass, airbag, engine fire, insanity. The rest of the interview covers topics such as the difficulty of generating audiences for mods, the MSU contest, and Assault problems. Spiderweb has recently made available some new senarios for its RPG Blades of Avernum. Currently listed under the categories Untried, Medium Quality, and Quality senarios, the three available for download include Backwater Calls, Xerch'de, and Canopy: Manufactured Womb, respectively. The holy hands that hold the hand that holds the sword, Bring us all home, back under your care, don't cut us off. These senarios, as well as others, are available as free downloads at Spiderweb's site. Users are also encouraged to send in reviews of each to help with ratings. Tech website AnandTech has posted an interview with Epic Games' Tim Sweeney about the more technical side of Unreal Engine 3. The article explores the fact that Unreal Engine 3 is going to be one of the first multithreaded first person shooter engines. It goes on the explore the benefits of multiprocessor support, multicore CPU support, and OpenMP, an open standard for multiprocessor support in programs. There are two parts to implementing multithreading in an application. The first part is launching the threads and handing data to them; the second part is making the appropriate portions of your 500,000-line codebase thread-safe. OpenMP solves only the first problem. But that's the easy part - any idiot can launch lots of threads and hand data to them. Writing thread-safe code is the far harder engineering problem and OpenMP doesn't help with that. Head over to AnandTech's website to check out the article. Fair warning: the article is very technical in nature. RenWerX, a group that works on mods for the popular PC game Tribes has announced that they, like other Tribes modders, are moving their latest project to the Torque Game Engine. The project, Renegades began as a mod for the Tribes: Vengeance engine, but difficulties with the engine and other considerations forced RenWerX to look for another home for Renegades. RenWerX announced today that their popular Renegades mod will be switching from TV to the Torque engine. We will be working with the Legends team to establish an amazing base, virtually redoing all the graphics and models that are currently there (along with various other additions), and then expand upon that to form the Next Generation of Renegades. Renegades will be 100% free to download once completed! For those who have questions on our switching, please see our reasons. The group goes on to describe at length the reasons they are moving to the Torque Game Engine. The move is potentially good news for Mac gamers, since it is extremely easy to make Torque Game Engine games cross-platform. To read the announcement and more information about RenWerX move to TGE, click the link below.